In conjunction with the engineers who devised the production car, Signatech designed the racing version with a primary target: provide the drivers with as much enjoyment as possible, whether they are beginners or experienced. 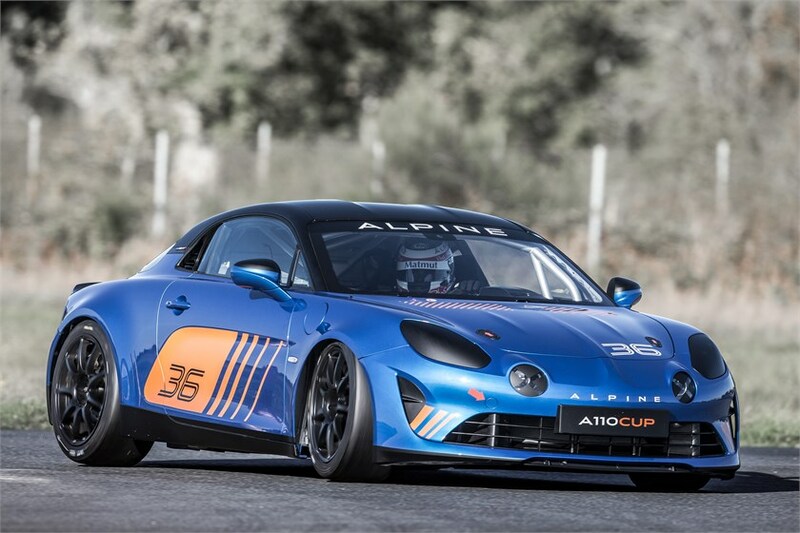 Ready to race, the Alpine A110 Cup comes fitted with a set of premium safety features: specific Sabelt bucket seat with built-in head restraints, six-point HANS-compatible harness, automatic fire extinguisher, dry battery, master switch, etc. The adjustable pedal box and steering column help adapt the driving position to suit all shapes and sizes of driver. The Alpine A110 Cup keeps the original air-conditioning system and allows for a second bucket seat to be fitted without modification for track experiences.